Victorian-era houses came decked out with windows in a variety of curvy shapes. Today, restoring them has gotten a lot easier. 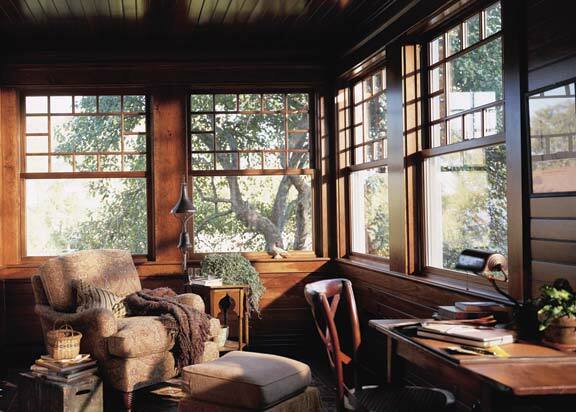 When it comes to architectural elements that elicit strong emotional reactions from old-house aficionados, windows rank at the top of the list. Maybe this is due in part to the fact that of a window&apos;s four main functions—admitting light, ushering fresh air inside, providing a visual link to the outdoors, and enhancing a building&apos;s appearance—two of them hinge on human perceptions. From inside a house, for example, the world can seem a much more interesting, charming, or enticing place when glimpsed through the frame of a crescent-shaped sash with multiple muntins. And when a house is seen from outside, its architectural identity is enhanced by the arrangement, style, number, and appearance of windows. 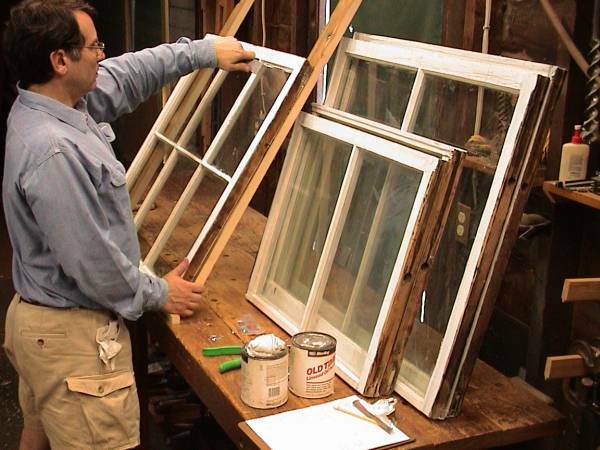 It&apos;s no wonder, then, that homeowners want to preserve their original windows at all costs, which often is a do-it-yourself job (see "How to Restore Sash Windows"). Sometimes, though, restoring windows is easier said than done. Wooden sash that&apos;s very old, not properly maintained, or overly exposed to harsh weather conditions can sometimes end up beyond moderate repairs. 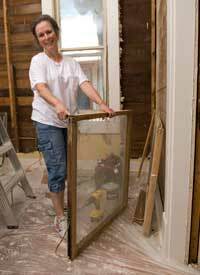 What do you do when you have no choice but to replace windows in unusual shapes and sizes? For years, the answer was to either make your own, find an artisan who could do the job, or make do by fitting a square peg into a round hole (sometimes literally, in the case of roundels or other distinctive window shapes). Today, thanks to years of demand from discerning, preservation-minded homeowners, it&apos;s possible to find more and more modern companies accurately reproducing all-wood designs of historic window shapes that aren&apos;t cut from the same (square) cloth. We&apos;ve rounded up a few examples that offer new twists on old classics. Windows with curves certainly appeared on Classical houses—semicircle (lunette) or oval (elliptical) windows that adorned grand Classical Revival homes are but one example, as is the ever-popular Palladian. But the form and placement of windows with curves seems to have reached new heights on more romantic architectural styles. Take eyebrow windows, which borrow the lunette shape and extend it at the corners into a shape that resembles a winking eye. Eyebrows became prevalent accessories in the last two decades of the 19th century, when Victorian Shingle and Richardsonian Romanesque houses were popping up like wildflowers, and many rooflines were raised with dormers in a sinuous curve. Eyebrow windows didn&apos;t stand alone in their flirtatious shapes; they often echoed other architectural details on the house—the bow-shaped surround on a Shingle entry porch, or the substantive curved masonry arches of Romanesque buildings. Original eyebrows were often fixed, but could sometimes have a square frame in the center that opened, usually as an awning or a hopper. Today eyebrows can be found as a single-unit operable hopper—hinged on the bottom, and venting out of the top. Another window that throws curves—the roundel—also was used as an architectural accent, especially on Italianate and Second Empire houses. Perfectly circular, they usually appeared as grace notes on attic floors or towers, although one fine example of an Italianate house in Macon, Georgia, displays 20 evenly spaced roundels aligned across its third story. 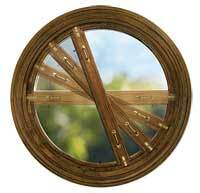 Roundels could be fixed or could pivot at the top or in the center (called a rotating window) to allow breezes in. Unfortunately, this also invited bugs. Today, one of the larger window manufacturers has introduced a design on roundels that&apos;s half glass, half screen. The window opens by twisting the sash to the side, a nifty interpretation of the original design. Last but not least—in terms of decorative effect or impact—are the single- or double-hung windows that adorned the towers and turrets on Queen Anne houses. These came with slumped glass to accommodate the geometry of the rooms in which they appeared. Finding replacements for them has been a tricky proposition for many years now, but today there&apos;s a new option available in form of a custom manufactured window complete with slumped glass and exterior ogee trim. Along with the modern roundel and eyebrow options, it offers just a glimpse of how far products have stepped up to meet demand from old-house owners.